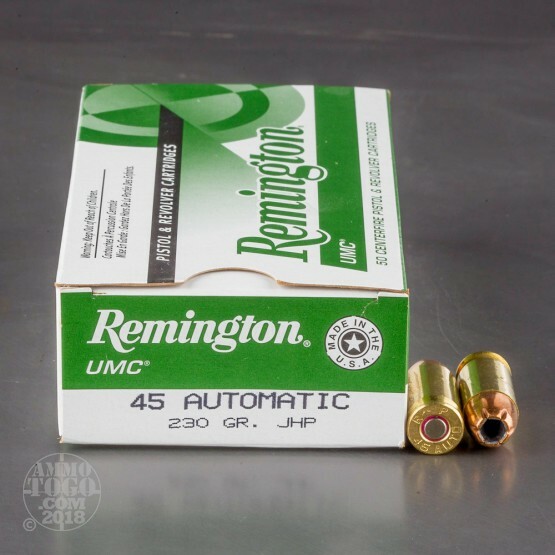 This is .45 ACP Remington UMC 230gr. 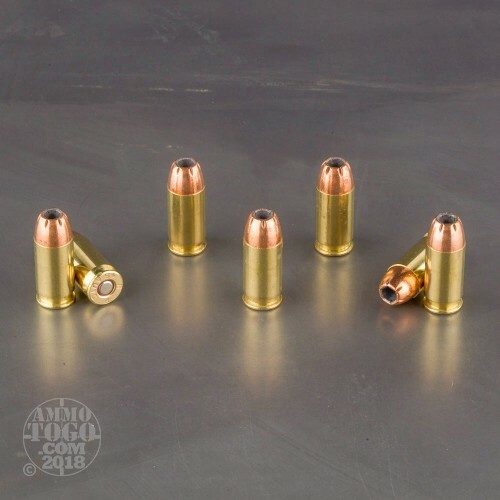 Jacketed Hollow Point Ammo.This ammo is reloadable brass cased, boxer primed and non-corrosive. 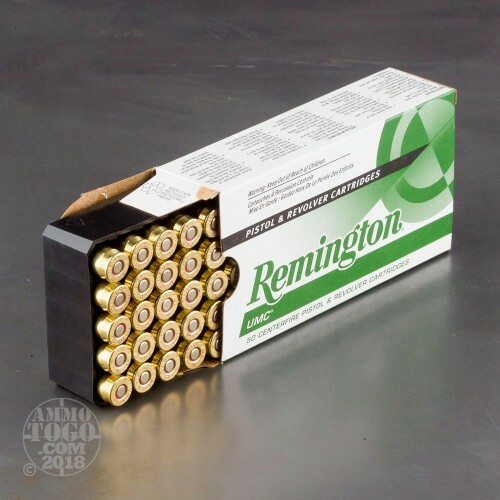 This ammo is a very affordable and dependable self-defense round. It comes packed in 50rd. 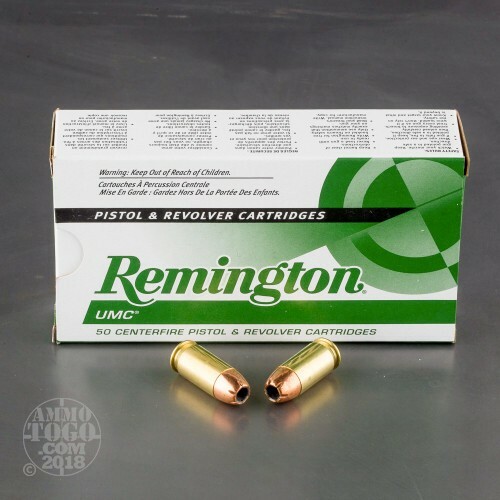 boxes, 10 boxes per case.